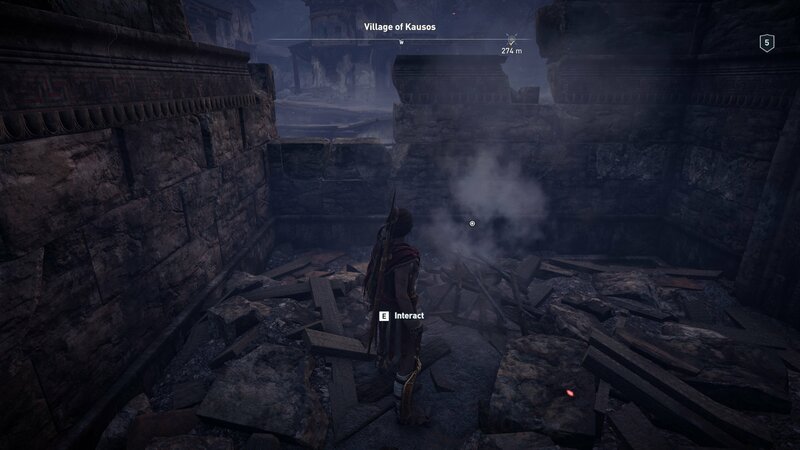 Don't get burnt out on the hunt for hidden treasure, use our guide for the Ashes to Ashes Ainigmata Ostraka location in Assassin's Creed Odyssey. As you explore the isles of Ancient Greece in Assassin’s Creed Odyssey, you may come across the mysterious Ainigmata Ostraka riddles pointing you in the direction of some tasty treasure to earn. You’ll get no quest marker for these, meaning it’s up to you to hunt down the end spot for each. If you get stuck, you can always follow our guides instead. In this guide we’re covering the Ashes to Ashes Ainigmata Ostraka riddle’s treasure location. The village described can be found on the Kephallonia Islands. Kausos village has been burned, appearing on your map quite distinctly on the southwest of the islands. It's in a cove inland with a marker over the top, northwest of the Ancient Ruins of Kranioi. You’re in the right spot when you start approaching a number of burnt houses. As the clue indicates, you’re after a place of worship, and that means a temple. This should be the biggest burnt down building in the village. You’ll be able to enter it, and as long as you’ve found the riddle first you’ll get the option to interact among the detritus to gain the treasure you’re after. With another riddle completed, you might as well finish up any others on the Kephallonia Islands. Here’s our guide to the Bottomless Lake Ainigmata Ostraka treasure location you can find nearby at the Coast of Koliadai. 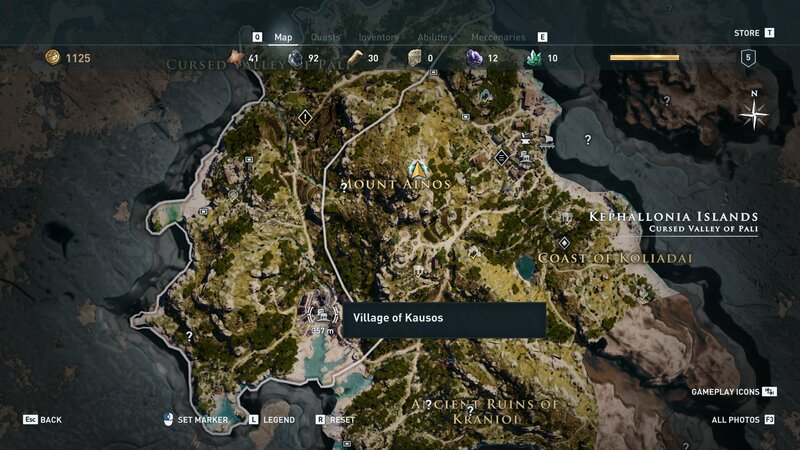 We have plenty more guides available for Assassin’s Creed Odyssey, including where to find all of pirate Xenia’s treasures.